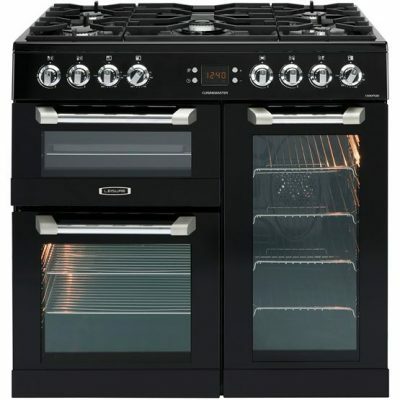 DOUBLE OVEN : With two separate ovens your cooker gives you more flexibility and capacity. 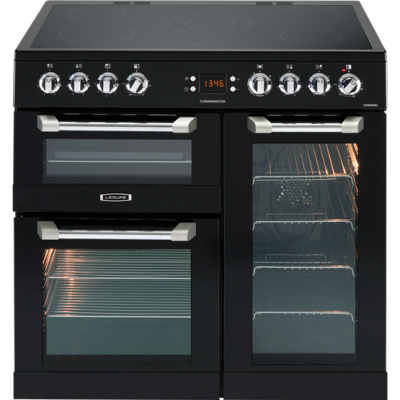 It provides you with more oven space which you need when the family visits, but also allows you to cook dishes at different temperatures to the rest of the meal with no hassle. PROGRAMMABLE OVEN : The large timer on this model is great to help you keep track of cooking times. 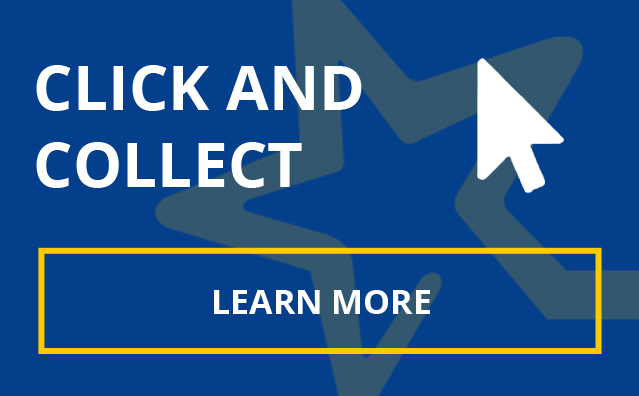 It can be used as a conventional countdown timer with audible alert and can also be used to automatically start and stop at a pre selected time. 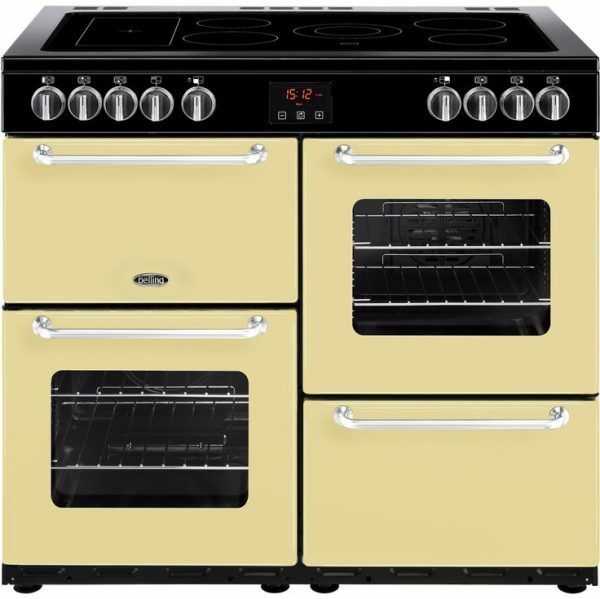 COOK CLEAN LINERS : Cook clean liners are specially coated panels installed on the side walls of the main oven or ovens. 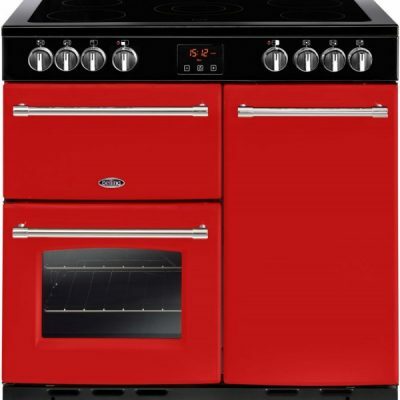 When cooking at high temperatures; fat spits, dirt and grime are burnt off - removing the need to scrub and helping to keep your oven clean. 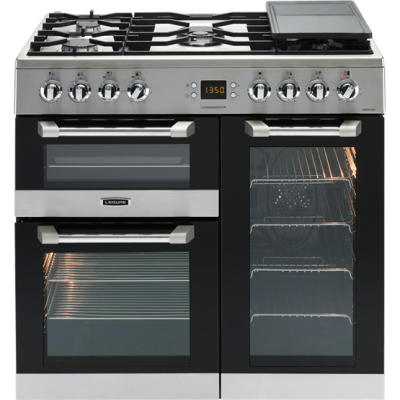 TRUE FAN COOKING : The circular element combined with fan motor and specially designed cavities ensure that the oven temperatures are even throughout, delivering excellent cooking results. With continuous air movement, fan cooking helps to speed up cooking times compared to conventional ovens. 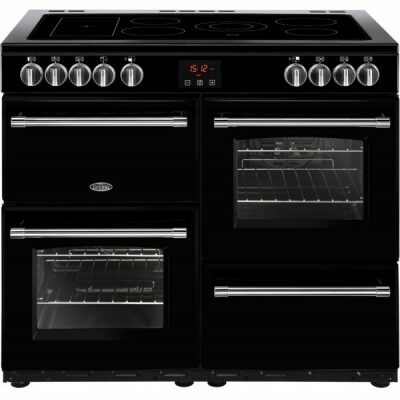 The Leisure CS90F530 Cuisinemaster challenges the thinking that rangecookers are for old country homes with a striking, contemporary design. 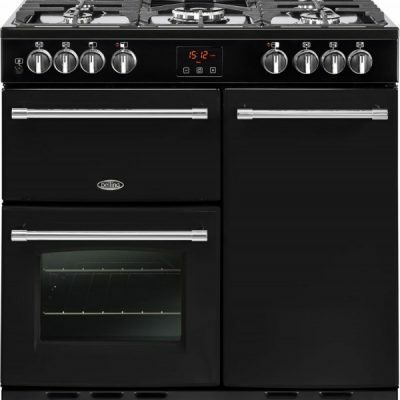 With the addition of a third oven, this cooker gives you extra flexibilty and control over your cooking. 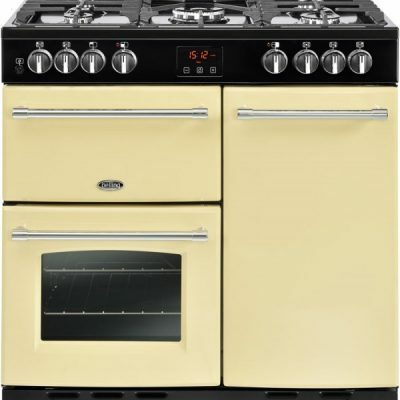 3 OVENS : The Cuisinemaster 90 has three ovens for complete cooking versatility. 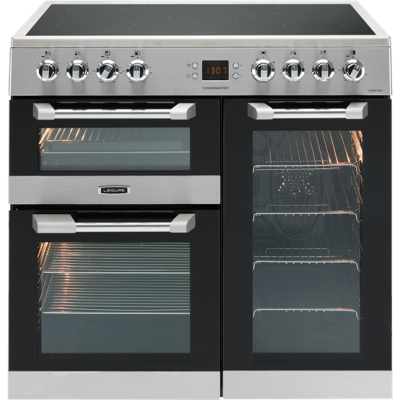 Not only giving you more capacity, but having multiple ovens also enables you to cook foods at different temperatures and avoid contamination of flavours between dishes. 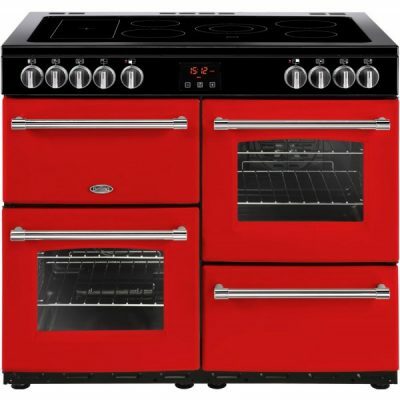 This model has a fan main oven, tall secondary fan oven and conventional oven and grill in the top left cavity. 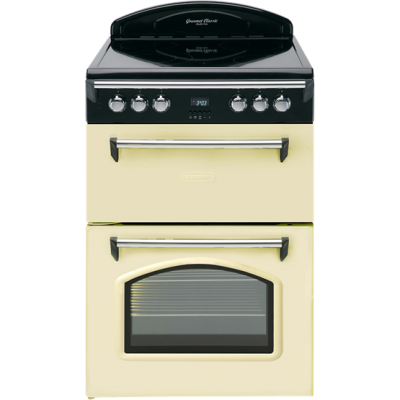 Belling 100cm Farmhouse All electric Range Style Cooker : A Rated, 6 ceramic Zones (incl warming zone), Separate Variable Electric Grill, 64 litre Electric Fan Oven, 64 litre Conventional Oven,storage area, LED touch programmable timer, Easy Clean Pristine Enamel Interior. Available in colours: Black, Cream, Jalapeno. 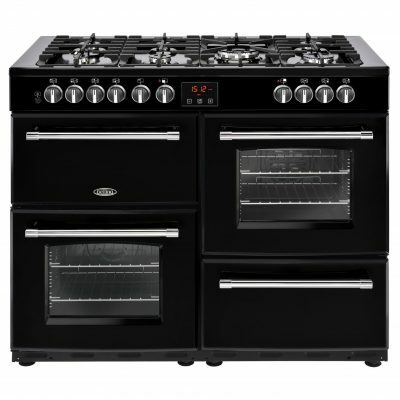 This Large 110cm Belling Farmhouse dual fuel range cooker with 7 burner gas hob, 4kW PowerWok, Maxi-Clock and easy clean enamel is packed with features.